“It is for freedom that Christ has set us free…. You, my brothers and sisters, were called to be free” (Gal. 5:1; 13 NIV). One awesome outcome of Christ’s death and resurrection is that we are free in Christ. Now it is true that sometimes Christians flaunt their freedom by bragging about what kind of alcohol they drink or by using foul language. People who flaunt their freedom actually lack love towards other Christians (Rom 14:15). Despite God’s call to be free and his earnest admonition to resist all efforts to curtail it, there is very little emphasis in Christian circles today on the importance of Christian freedom. Instead of promoting freedom, we stress our rules of conformity. Instead of preaching living by grace, we preach living by performance. Instead of encouraging new believers to be conformed to Christ, we subtly insist that they be conformed to our particular style of Christian culture. Yet that’s the ‘bottom line’ effect of most of our emphases in Christian circles today. …We are much more concerned about someone abusing his freedom than we are about his guarding it. We are more afraid of indulging the sinful nature than we are of falling into legalism. Yet legalism does indulge the sinful nature because it fosters self-righteousness and religious pride. It also diverts us from the real issues of the Christian life by focusing on external and sometimes trivial rules. Jerry Bridges, Transforming Grace, page 134. I enjoyed Jerry Bridges’ book, The Blessing of Humility. It’s a readable discussion of humility based on the Beatitudes. Chapter ten of this book is called, “The Humility and the Gospel.” Below are four main points Bridges makes in this chapter. I’ve summarized them for the sake of space. The question is this: How does the good news of the gospel help keep us humble every day? For one thing, it frees us up to be honest with ourselves about our sin. We can face our sin squarely when we know that it is forgiven. Even when a particular sin is vile in our eyes – not to mention God’s eyes – we can call it what it is, and thank God for his forgiveness. The second way the gospel helps us live a life of humility is to show us another person’s sin in light of our own. To paraphrase and even enlarge on the words of one of the Puritans, the proud person is so busy judging the sins of other people that he or she has no time to see the sins of his or her own heart. Meanwhile, the humble person is so busy dealing with his or her own sins that he or she has no time to judge the sins of others. A third way the gospel helps us walk in humility is that it helps us practice meekness and mercy. We can only truly appreciate the gospel when we see it through the lens of our sin. And as we do that, we can forgive the sins of others because we have been forgiven so much. In summary, I would say that it is impossible to truly walk in humility without to some degree appropriating the truth of the gospel every day. Jerry Bridges, The Blessing of Humility, p. 86-88. This is one of the better books I’ve read on suffering and the sovereignty of God: Is God Really in Control by Jerry Bridges. This book is outstanding because it is very biblical, pastoral, and practical. 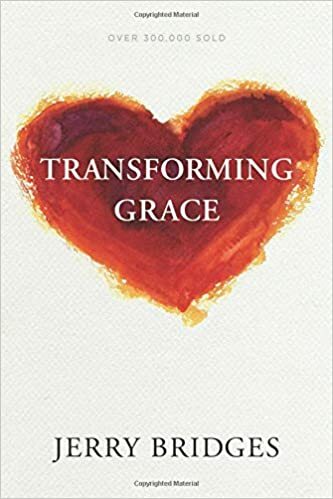 You won’t find a detailed philosophical discussion of theodicy in these pages, but you will find hope, comfort, and encouragement in the sovereignty of God’s love in Christ. As always, Bridges writes in a straightforward manner that most Christians can understand. You can give this book to a 60-year-old Christian going through a trial or a newly married husband and wife grieving over a miscarriage. This is truly a book for the church. “In order to trust God, we must always view our adverse circumstances through the eyes of faith, not of sense. …We must shape our vision of God by the Bible, not by our experiences” (p. 19 & 35). “God never wastes pain. He always uses it to accomplish his purpose. And his purpose is for his glory and our good. Therefore we can trust him when our hearts are aching or our bodies are racked with pain” (p. 65). “We must depend upon God to do for us to do what we cannot do for ourselves. We must, to the same degree, depend on him to enable us to do what we must do for ourselves” (p. 75). “The good that God works for us in our lives is conformity to the likeness of his Son (Rom. 8:28-30). So, his good is not necessarily our present comfort or happiness but rather conformity to Christ in ever-increasing measure for eternity” (p. 85). “In adversity we tend to doubt God’s fatherly care, but in prosperity we tend to forget it. If we are to trust God, we must acknowledge our dependence upon him at all times, good times as well as bad times” (p. 131). We all face trials and suffering in life at one point or another. When the dark valleys in life come, this book will help you keep your eyes on the Lord and strengthen your trust in his Word. Jerry Bridges, Is God Really In Control? Trusting God in a World of Hurt (Colorado Springs: NavPress, 2006). 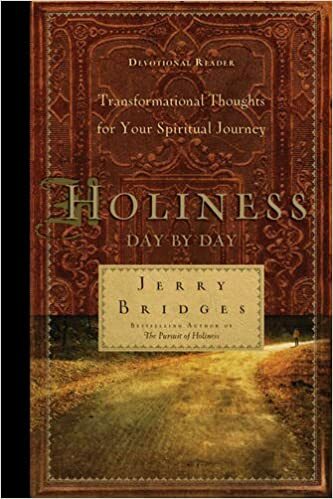 Holiness Day by Day by Jerry Bridges. In this book, each day’s devotional starts with a verse from Scripture then consists of a one page reading from various books Bridges wrote. This is a good one for most Christians – it is understandable, theologically sound, and gospel centered. There is no fluff here! Another one page daily devotional I recommend is J. M Boice’s Come to the Waters. This daily reading starts with a verse from Scripture and then has a one page portion of Boice’s writing. This book is also solid and understandable, though each devotional isn’t necessarily an explanation of the gospel. 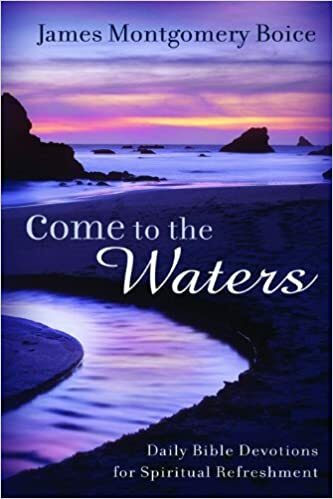 Come to The Waters is also readable for most Christians. Here’s a day-by-day reading written by J. I. Packer: Daily Readings for Your Spiritual Journey. This day-by-day devotional book is just like the first two I noted. There is a verse and then a short section of Packer’s writing. This too is solid and understandable – it also covers a broad range of doctrines and application. Another one I’ve purchased and given out is Comforts from the Cross by E. Fitzpatrick. This devotional is a little different from the above only because it is a little longer and specifically focuses on the cross. Each daily reading is around two pages – and each day there is a verse and a closing prayer. Also worth noting here is that this devotional is for one month, while the others listed here would take longer to complete. 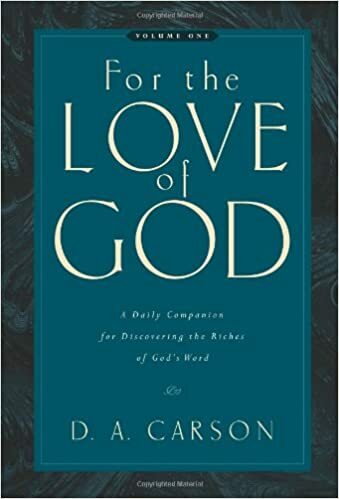 Finally, I certainly should mention D. A. Carson’s two volumes called For the Love of God. This daily, one page devotional is structured after M’Cheyne’s one year Bible reading plan. Each day consists of a meditation on the day’s Scripture reading. This one, like the others, is solid, biblical, and covers a variety of Biblical doctrines and application. What we’ve done (here at church) is purchased several of these and handed them out to those in the congregation who were interested in a daily Christian reading. I think this is a good idea. Get rid of those little fluffy devotional booklets and replace them with some (or all!) of these books I’ve listed above. And, as always, if you have other good suggestions, list them in the comments. “Every gift is given by God’s grace. None of us deserves the gift he or she has been given. All gifts are given by God’s undeserved favor to us through Christ (Rom 12:6, 1 Pet. 4:10). The highly gifted person should not think he is so gifted because of his hard work or his faithfulness in previous service to God. These seven points are very helpful biblical notes on spiritual gifts. In fact, it is one of the best treatments on spiritual gifts that I’ve read. I very much recommend this chapter to those who want a solid treatment of spiritual gifts in the body of Christ. Furthermore, I recommend this entire book! It’s an outstanding resource on the fellowship of the saints: True Community by Jerry Bridges.